Halloween is right around the corner so its time to get your carving on. Here in the UAE pumpkins are imported from the US I found the best range in Waitrose Reem Island and although they tend to be expensive (25DHS per KG or $8.00 per KG) ... I grit my teeth and bought not one but two (hey it happens once a year and I used every part of it down to baking the seeds). However if your on a budget a more affordable option is the watermelon, not only is it a steal at 2DHS per KG or 50 cents per KG but these guys are much easier to carve into with the same effect. I'd like to say I am a veteran but this is relatively new to me. 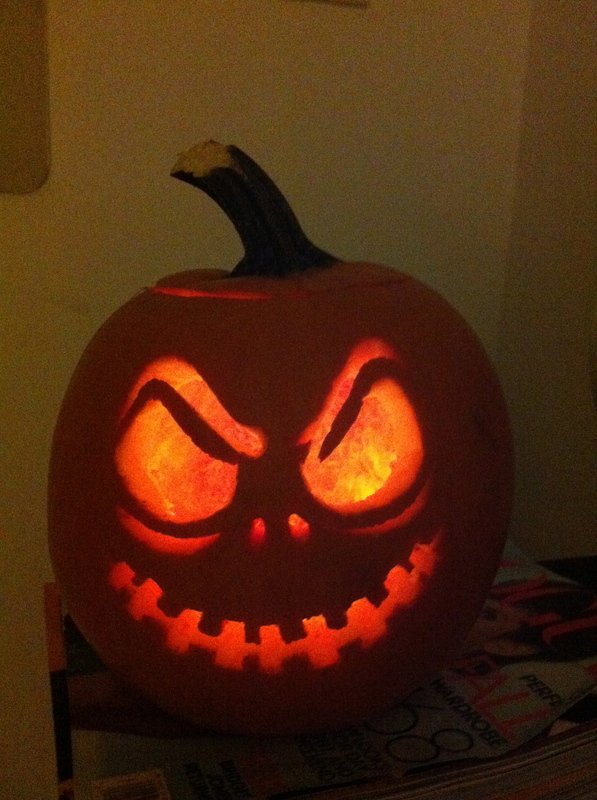 The best advice I can give: the more you carve the better you'll get. So lets get down to carving 101. 1. To create the lid for the pumpkin; place the knife into pumpkin at a slant, this is to ensure that when you place the lid back on the pumpkin it won't fall through. Next work your way around in a large enough circle to ensure easy access for your hands to fit through. 2. 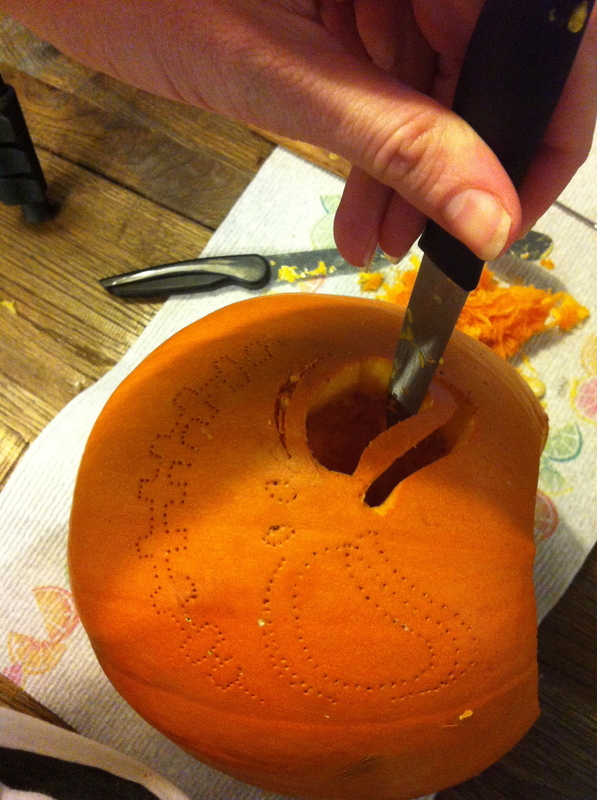 Remove all the seeds and strings inside the pumpkin by scooping out the flesh. Best done with a metal spoon and for the watermelon with a ladle. Shave back the walls as much as possible to make carving easier. 3. Attach your template with sticky tape. 4. Begin transferring the image by poking through the skin using the ballpoint pen, follow the outline until done. Remove the template.. TIP to see the image more clearly try rubbing baking powder over the holes. 5. Begin carving, take this process slow it is easy to make mistakes... try using various sized knives to cater for big or small sections. 6. Place a tea light or candle inside, light it up and place the lid back on top. or when the lights go out !!! Happy Halloween have a spook-tacular time and eat lots of Candy ! !